An alarming new study reveals that the lakes around the world are warming - here's why that's a bad thing. One of the most common problems associated with climate change is the warming and rising of the world’s oceans. Sea level rise puts many of the world’s great cities at risk and poses massive threats to coastal properties and communities. According to a new study, however, researchers from Washington State University reveal that another source of water may be at even greater risk from climate change. The study has shown that the water in lakes all around the world is rapidly warming by an average 0.3 degrees Celsius each decade. While this may not seem like much, the temperature change is wreaking havoc on lake ecosystems, causing massive algal blooms and devastating fish kills. 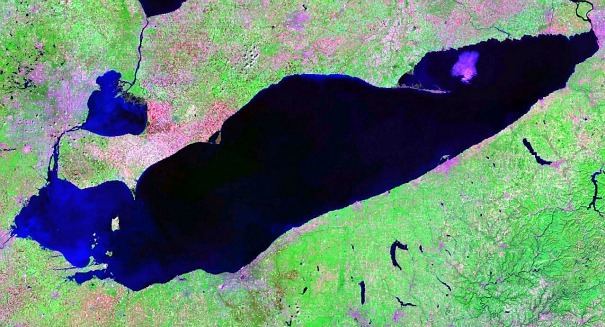 The authors of the study followed the changes in lake temperatures from 1985 to 2009. They also found that certain lakes cooled during this time, which may have been caused by changes in the surrounding ecosystem – for example, allowing the forest to regrow around a lake could result in a net decrease in temperature. According to aquatic biologist from Washington State University Stephanie Hampton, the variations in the temperature changes across lakes suggests that individual lakes may respond differently to changing air temperatures. The study’s findings were reported at the December 16 meeting of the American Geophysical Union in San Francisco, and will be published in the journal Geophysical Research Letters. Perhaps the biggest effect temperature changes will have on the world’s freshwater reservoirs is the way life will adapt to the new conditions within the lakes. Lakes warm at a rate that depends largely on their size, and smaller lakes are predicted to warm the most rapidly. A small pond with relatively similar conditions to an adjacent lake may experience algal blooms and fish kills long before its larger neighbor does. Lakes are fed by streams, and the source of the water in the lake will also have a noticeable effect on the conditions within. NASA researchers believe that by studying lakes, they can determine how climate change is affecting a region as a whole. The conditions within a lake paint a much more elaborate picture of a local climate than air temperature can. The study found that the lakes warming the fastest were relatively scattered around the world. In Siberia, the rapidly warming Lake Baikal threatens to leave the Baikal seal with no place to give birth to their pups, who enter the world on a thick sheet of ice during the winter. In agricultural regions, runoff from farms can contribute to massive algal blooms that deplete the majority of the dissolved oxygen in a lake, leading to the total annihilation of all but the most robust organisms. The study highlights an important field for climate research, and all but confirms that the effects of climate change are real and fast-paced. Press releases from Washington State University and York University describing the details of the study can be found here and here.